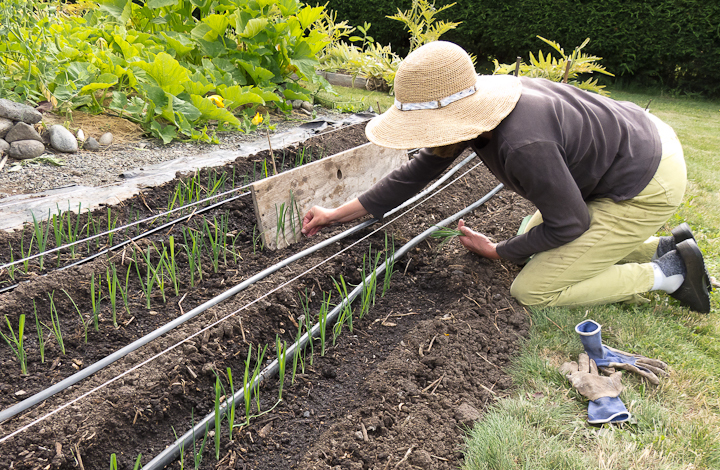 This entry was posted in Fall/Winter Vegetables and tagged leeks, winter vegetables by Lopez Island Kitchen Gardens. Bookmark the permalink. No one could ever accuse a serious gardener of being lazy! Also, no one could accuse a serious gardener of being anything but profoundly educated and wise! To be successful, as you describe, requires experience, research, and hard work! I love leeks and always appreciate the sometimes 2″ of edible ‘white/pale green’ I get on my store-bought leeks! Someone is not carefully hilling up the leeks I’m eating, so home gardeners can most certainly have the advantage of more tender and ‘efficient’ leeks versus us folks dependent on the best organic and mysteriously expensive vegetables we have access to at our local supermarkets. Back to the farmer’s market and my CSA for some better options! Thanks for another wonderful post Debby! Thanks for all this great information about growing and cooking one of my favorite vegetables! Do you happen to know why it’s necessary to transplant the young leeks rather than growing them on in one spot? It seems like a plant would do best if not dug up and wrestled around with! Maybe it’s just a matter of finding room for them in the garden, which is an issue in my small space. Thanks for writing! 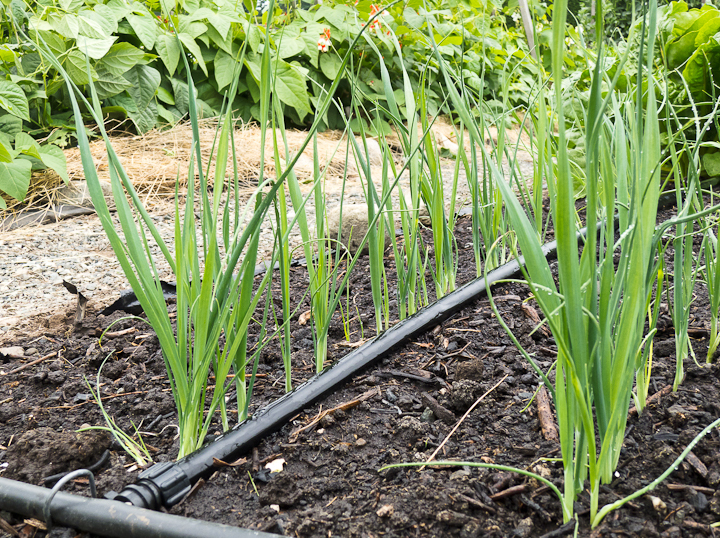 I think one reason for transplanting leeks is that you can set them in a trench and gradually fill in the trench around the shaft of the leek, encouraging more of the white part of the leek that way. Of course, if you directed seeded them, you could mound soil up around the shafts and get the same result! That said, other reasons that I transplant leeks are that I’ve found that it is easier to get the seeds to germinate in a small, carefully prepared bed and that growing them close together in this “nursery” bed encourages the plants to get more leggy, giving me more shaft to set in the trench and blanch. There’s also, as you say, finding room for them. I start leeks in a small bed and by the time they are ready to transplant, a bigger bed is open, usually the bed where I’ve just pulled out the last of the sugar snap peas. It’s a nice way to use the pea bed and I’m left with the great soil from the leek nursery bed. This year I planted carrots there and they’re doing really well. Thanks Debby for all the great tips! I’ve got some leek seedlings that are overdue to get transplanted and sugar snap vines that need to be pulled out so this is a perfect solution as to where the leeks can go!!! It’s always a challenge for me to find the right spots for planting new veggies in rotation. Thanks for writing! I hope you enjoy the Solomon book as much as I do. Thanks to you we have tons of fava beens ready to harvest! Have just re-read your blog about harvesting, blanching and cooking the beans and we plan to have them tonight for dinner. I love all the info I keep reading on your blog and continue to tell others to go to your site! Thanks so much for continuing to offer so much info on gardening that helps us have wonderful harvests! I’m exhausted from picking strawberries but excited about the abundance we have this year!